As the designated driver, I found myself waiting for friends at the Beyonce concert at Wembley Stadium last Sunday [July 3rd], Not wishing to miss an opportunity and taking advantage of 8 stories of elevation (top floor of the car park!) I spent about 3 hours DXing with the legendary Panasonic RF-B65 and a Wellbrook ALA1530 active loop, running on my home-brew battery pack. Rather counter-ituitively, I quickly discovered there was basically zero QRM and recorded wonderful signals from Zanzibar BC, Radio Bangladesh Betar and Radio Oromiya. Links to the reception videos on my youtube channel ‘Oxford Shortwave Log’ follow below. I thought readers of your excellent website/blog might be interested to learn that sometimes the most unlikely of places can provide just about optimum conditions for DX! There are more reception videos for this particular session to upload,including Radio Fana, Voice of Tigray Revolution and Radio CANDIP. Wow! What amazing reception, Clint! I would have never guessed that a car park next to the largest stadium in the UK would offer up such excellent listening conditions. Honestly–that Bangladesh Betar broadcast sounds like a local station. You also have a great receiver there in the Panasonic RF-B65. If memory serves, the RF-B65 is also a favorite of SWLing Post contributor/DXer, Dan Robinson. 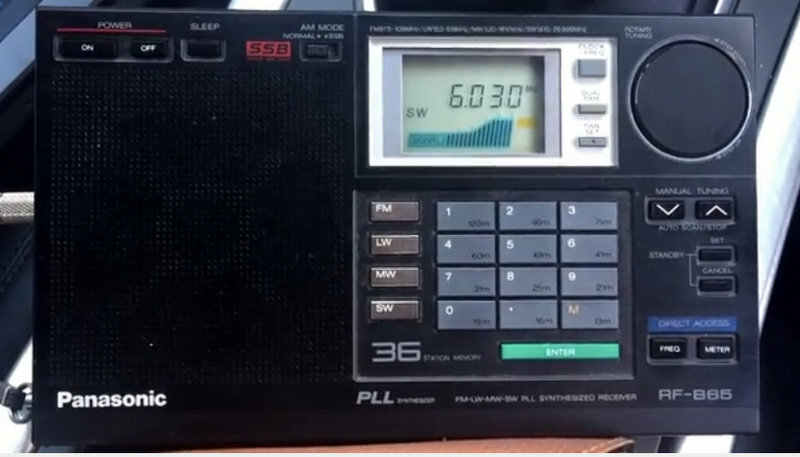 Post readers: Follow Clint’s many DX catches on his YouTube channel: Oxford Shortwave Log. Thanks again for sharing, Clint, and reminding us that DXing locations aren’t always remote and exotic. This entry was posted in Articles, News, Radios, Shortwave Radio, SWLers, Videos, What's On Shortwave and tagged Clint Gouveia, DX, DXing, DXing Locations, Oxford Shortwave Log, Panasonic RF-B65, Portable Shortwave, Wellbrook ALA1530, Wembley Stadium on July 22, 2016 by Thomas.